Who is the sitter for this portrait ? Describe the way he is dressed. Look at the composition lines of the painting. In what geometrical figure can you fit the main character ? What is the purpose of the rugs and tapestries that form the background of this portrait ? What are the details in the painting ? Concentrate your attention on jewels, fabrics and colours. What impression do we gain of the person who is being painted ? 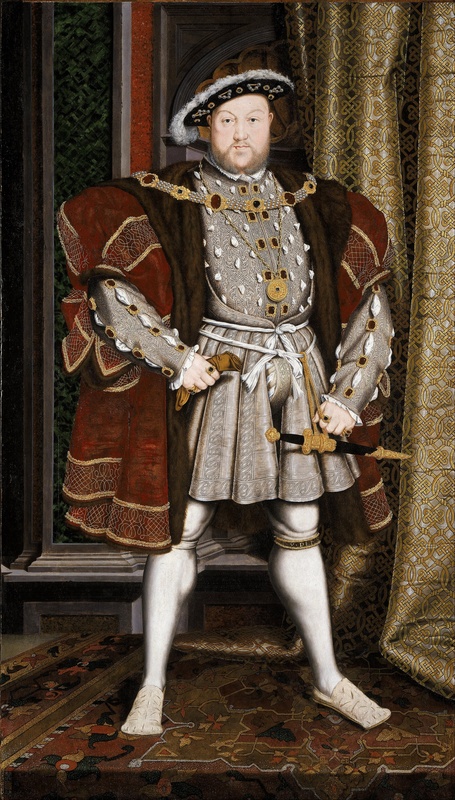 What do you know about this monarch and can you imagine why he wanted this portrait to be painted ? Words to help you : try to use as many as possible in your answers.